As it moved nearer, my wife and, along with the other onlookers, scrambled into position, cameras and iPhones in hand to record the moment. Closer and closer the plane came. “This is a big one,” someone exclaimed. I dug my feet into the sand to sturdy myself as the plane continued to descend. By the time it hit the beach it seemed almost on top of us. With a mighty roar drowning out the excited screams of the tourists, it passed directly overhead – seemingly a tennis ball’s throw upwards in distance. We performed an about face to watch it execute a perfect landing on the runway. It’s for experiences like this that I will continue to have a travel budget as part of our family’s overall budget. I’ll give a few tips in a minute about how you can make this happen. But first, here are a few reasons you should consider having a travel budget. Thus far my travels have been limited to the United States, Mexico and a host of countries throughout the Caribbean. Further overseas travel will happen, perhaps when the kids are older or when it’s only my wife and I at home. For now I am content to see and experience everything possible about the U.S. and nearby countries. Travel provides stunning visuals that create memories. For our family, this is the #1 reason we have a travel budget. Experiencing activities together has created family bonding in a way I don’t believe I could have manufactured if we had stayed at home. In that way, travel serves as a tool – a mechanism we use to promote family attachment. The really neat thing is that we bring those memories home and relieve them over and over. We’ve downloaded the images to our computers and they now serve as screen savers. Often we find ourselves watching image after image of past events spring to life again on our computer monitor. We laugh and remember how much fun those moments were. I’ve felt this on many occasions during my travels, perhaps in no more powerful way than standing at the rim of the Grand Canyon in Arizona. I lapse from time to time into thinking that my life is all that matters, that I am the center of the universe and that nothing else is so big or important than my life. Leaning on the rail, staring at the grandeur of the canyon reminded me that the universe is vast and huge and I serve but a tiny role in it. That humbling travel moment reduced my ego a good bit and brought some perspective to my life. 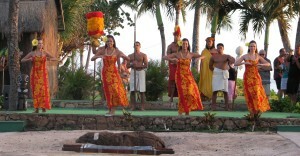 Travel brings other cultures and regions of a country to life. Travel introduces unique new foods. Food is such an integral part of life and so enjoyable. I will grant you that one does not have to travel to try unique foods. However, there is something about being in another country that gets our juices flowing for expanding our horizon and tasting new things. Like the time my family went to Isla de Pasion (Passion Island) in Cozumel. Reportedly, the Cozumel Passion Island’s fresh guacamole dip is famous for it’s texture and flavor. So, on our all-inclusive paid excursion to the island I was served some chips, salsa and guacamole dip as I lounged in my beach chair beneath the palm trees. Honest to goodness, it was one of the best foods I tasted on that trip! In fact, even the kids became hooked. Upon returning home I searched desperately for a guacamole dip recipe that I could freshly prepare that approximated what I had tasted. I found this one that proved to be close enough. We use it to this day (and have come to find it also tastes spectacular on top of a grilled burger). Travel results in stories to share with others. Travel stories are a great way to make connections with others who have had similar experiences. Stories can also help serve as conversation enhancers, as it allows you to bring your first hand knowledge and experience to the table. Travel serves as a link to history. A textbook or documentary can only do so much to bring history alive. Some places have to be experienced to fully understand the historical impact. 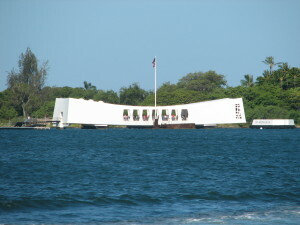 Like the education I received when my wife and I took a trip to the Arizona Memorial. I really didn’t know what to expect. I thought this would probably be just another historical museum trumpeting the greatness and determination of America in the face of adversity. What I found was much different. 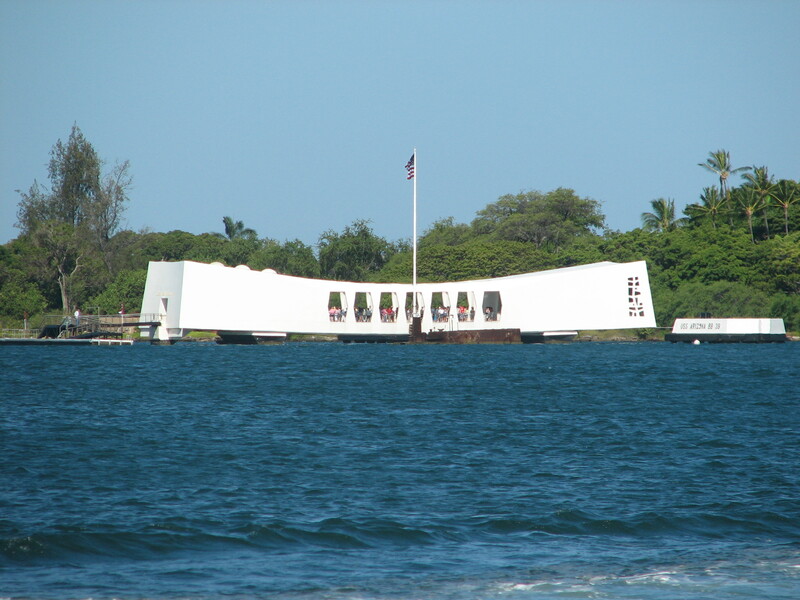 For starters, the Arizona Memorial and the accompanying museum are not simply about United States history. They are as much a part of Japanese history as our own. So I was greatly surprised on the day we visited to see about 30% of the tourists with ethnic roots from that country. When we shuttled across the water to the memorial itself, the atmosphere took on a somber tone. There was silence as you stepped off the boat onto the monument. Men in gray hair alone with their thoughts, leaned on the rail, peering down at the Arizona as she still leaked oil just a few meters below the water’s surface. Quiet weeping could be heard as others surveyed the names of the dead engraved on the wall in the shrine. It was the most reverent and emotionally charged landmark I’ve been to. And even though I had no link in my past to any member who perished on that ship, the visit affected me deeply. I left with a new depth of appreciation for our freedoms and a humbling respect for the many who have given their lives so that I can enjoy said freedom. 1. Be realistic. Know your own resources and time availability. Taking a month off of work to explore New Zealand and Australia may not be financially feasible. Only commit to what you can financially afford. 2. Take short trips. A week long vacation may not always be possible depending on your travel budget. There is nothing wrong with a weekend getaway or even a cheap day-trip to squelch the travel bug. You probably have multiple destinations within 6 hours of your home that are worth visiting. 3. Save for the long trips. We try to do one week long vacation each summer. We start saving for that in August of the previous fall. That gives us plenty of time to save the necessary funds to make the vacation spectacular and pay for it in cash. Never go into debt to take a vacation! 4. Plan well in advance to take advantage of deals. We’ve found incredible deals on cruises six to 10 months out of the departure date. Generally the closer you get to the vacation date the more expensive plane flights and other last minute reservations become. 5. Work overtime to earn extra days off. Your work may offer comp time for the extra hours you work. My wife takes advantage of this during the busy tax season to earn extra days off. This past year she racked up five full days from just working overtime. Our lives exist but for a short time. Put the excuses aside, take yourself and the family and go on vacation. Yes, there will be hassles and it’s tiring. However, these issues will seem minor in comparison to the rewards travel will bring. Questions: Do you have a travel budget? If so, how do you make it work? Would you rather travel now or wait until retirement? What’s your secret travel budget tip for planning for a vacation? Great! How much should I budget for this plan? It’s helpful article. Thanks for sharing. Great post! I love traveling. We plan on doing a lot of road trips in the United States over the next few years. I cannot wait! Savings account is one of the best ideas listed here, thanks for your suggestions. Hey Brian, thanks for the informative post! My wife Ruby and I are full-time bikers. We love to bike in the different country. Sometimes we can’t afford the money for the travel. But I after reading your post I think we will get some idea for our next travel budget. John recently posted…Best Hybrid Bikes Under $1000 for 2018 – Check Our Top Picks! That sounds like fun John. Hope you are able to make it work. The biggest obstacle to travel is affording it, so make sure you have that taken care of. You don’t want to go into debt for a vacation. Thanks for reading and sharing! When my wife and I have kids, we plan on taking our kids for 2 months of roadtrips each year during the summer. It really lets the kids see the world so that they get a headstart in life. I think there is something about kids seeing that world that opens their eyes and sparks their imagination. It gives them more than the cookie-cutter, commercialized experience of simply going to a theme park all the time. We’ve done the theme parks but my kids don’t talk about those experiences nearly as much as they do our other trips. Yes. And it’s good for kids to talk to and interact with other travellers as well. It allows them to get exposure to all kinds of people in the world, not just the people in their city/town. I couldn’t agree more. Travel is a must, for any budget. The world is a classroom and it has endless lessons to teach us. I stumbled upon your post on Twitter a mere few days after returning from Africa. After reading your post, I don’t think I could have expressed more clearly the reasons travel is so important in life. It offers perspective(s) or reminders of these that forever alters the way we view the world and how we view ourselves. Thank you for this great post Brian. Oh, I’ve seen this St. Maarten experience on You Tube and on an HGTV House Hunters episode. It’s so crazy looking. Would love to see it in person one day! Travel is one of the things I love to do for many of the reasons you describe above. Right now I’m churning credit cards to supplement my travel budget. The best part was watching the people get blown down the beach from the air current produced by the turbines when the planes take off. Hilarious! Who would have thought watching people getting pelted with blowing sand would be so much fun? I sure hope to travel more one day. The tips you offered are good ones, but until I get some debts paid off (the interest rates are HIGH) I won’t be doing much travelling outside of business trips and the occasional trip to see my BFF (she lives about 3.5 hours away). The experience you describe at the beginning of this post sounds awesome! I save every month for travel, just to give myself something to look forward to. It was crazy fun. Some of the bigger planes were really low. Felt like you could reach up and touch them. Sounds fun…how are you getting the money for that? “…no hotel costs and a food budget that won’t be much higher…” Cool, those are big deals as they are such a huge expense when traveling. Actually, when I was a child, we are not really used to travel. And not that I have my own family, I’m looking forward to travel even once in a year, it’s good to unwind sometime. Once a year is a good goal to start with. You can save months for it and that way have the money to experience something really enjoyable. That airplane stuff is awesome! Would love to experience that. And I agree. Travel is so much more gratifying than just having a bunch of crap. It was crazy…the videos on YouTube don’t do it justice. Love it! We also budget for travel because it is our family hobby. I don’t think I would like having a plane that close to me, though! We did mostly driving travel with the kids when they were young. We did 4 round trips to Florida over the years. Many great memories and stories we still talk about today. Change in scene brings about different dynamics too. Not always good, but we learned to roll with the punches. Flexibility is crucial on vacations. The more you go on them the more likely you will be to experience some issues. We did this past summer (https://luke1428.com/how-being-flexible-saved-our-vacation/) but our tripped turned out fine anyway. I love traveling because it is so fun to go to a new place. I love meeting new people, trying new restaurants and visiting new parks, museums, concerts, etc. I think traveling helps me get out of my comfort zone and forget some of the everyday worries and stresses. We finally starting churning credit cards this summer to earn travel rewards. “…get out of my comfort zone…” That’s a big one for me. I love being comfortable but sometimes shakeups and challenges are good for us. My family almost never went on vacation, so I have many, many places in the world I want to see. I’d pick travel over just about any material thing that isn’t an absolute necessity. It’s a wonderful way to make family memories and see how other people live. I also really want to go to that beach and see the planes fly over! Kim recently posted…Should I Contribute To A 401k, Roth IRA, Or Health Savings Account? 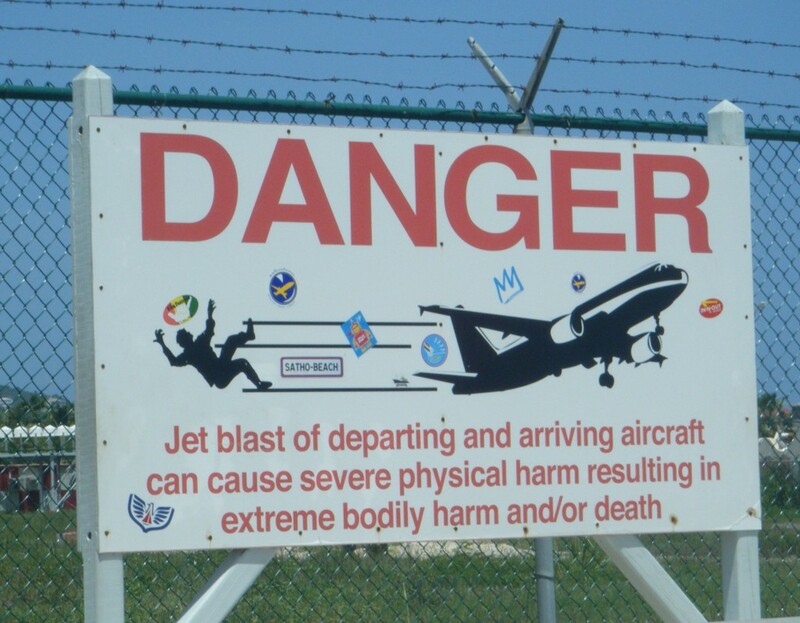 Well, if you get a chance to go to Maho Beach it’s definitely worth it. 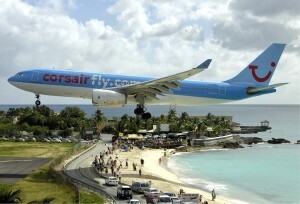 We stopped in St. Maarten for a day on a cruise of the southern Caribbean and took a cab to the beach. There is a restaurant that posts all the arrival and departure times for flights. If you go just make sure you leave enough time to get back to the boat…traffic on St. Maarten is pretty bad. It seems we are writing on related subjects this week. People have to travel. Without seeing the rest of the world people have no idea of the beauty that lies beyond the borders of the USA. I m horrified by the small percentage of Americans that have passports. Without travel to other countries you are to remain ignorant about the world in which you live. I understand why people don’t travel. I just think they are missing out. Our lives can be greatly enriched when we get out of our own backyard. I completely agree, Brian. Traveling is a big part of our budget because we love to travel. We, however, don’t take vacations on credit, well maybe to get the rewards, but we pay off the credit card at the end of the month. We probably take too many vacations, but we feel like we’re saving enough. I guess we could save more. “…too many vacations…” There does have to be a balance between enjoying the moment and planning for the future. That’s going to vary depending on one’s income and goals. To me, investing for the future would be a bigger priority. I wouldn’t neglect the future to go on vacation after vacation in the present. If it’s a priority then continue to sacrifice for it. I feel when you can do that (sacrifice) it makes the trips all the more special. Travel is important – so many great points here! We are putting some of our bigger trips on hold for now, but we’re not cutting out travel completely. We are planning some camping weekends and day trips over the next few months so we can still travel without blowing our budget. Nothing wrong with camping and day trips. Those are regular practices for us as well. I am in 100% agreement, Brian! Travel is a line-item in our budget. 🙂 Chris and I love traveling and I am so happy the girls enjoy it too. For us, the experiences and memories are invaluable. It really does give you some much-needed perspective. I also agree that you don’t need to go into debt to travel well either, but you do need to plan and save, which isn’t painful when you’re saving for something you love. “…you do need to plan and save, which isn’t painful…” That’s true. Each month when we put money aside it helps the anticipation build for the trip. Yes, it’s a practice in delayed gratification…but that lesson alone is worth it. Great post! I love traveling, and I’m glad Wes enjoys it as well. We plan on doing a lot of road trips in the United States over the next few years. I cannot wait! We’d like to get out West over the next few years. So much to see on that side of the continent. I think travel should be a huge priority in one’s life to whatever extent they can afford it. It really just opens your eyes to the rest of the world. So many of my best memories (and some funny/crazy) stories came from traveling, and don’t regret one single place I went to (well maybe Russia, but that was a work trip). I’ve sacrificed a lot of shorter trips this year (like fincon) so that I can make it to croatia next year. Right now I’m just gathering as many points on my cc as possible. BTW, I live right next to LAX and I still love seeing the airplanes take off and land. My wife’s dad went to Russia years ago when relationships with them were not as frosty as they are now. There are a lot of destinations like that where I’d like to go but there is risk involved for one reason or another. I always tell people I don’t own a fancy car or own a boat, I didn’t buy any toys like a jet ski or 4 wheeler, what we do instead is travel and it’s for all the reasons you mentioned, travel is fun! Funding a travel budget does require the sacrifice of other things. It’s all in what we value most. 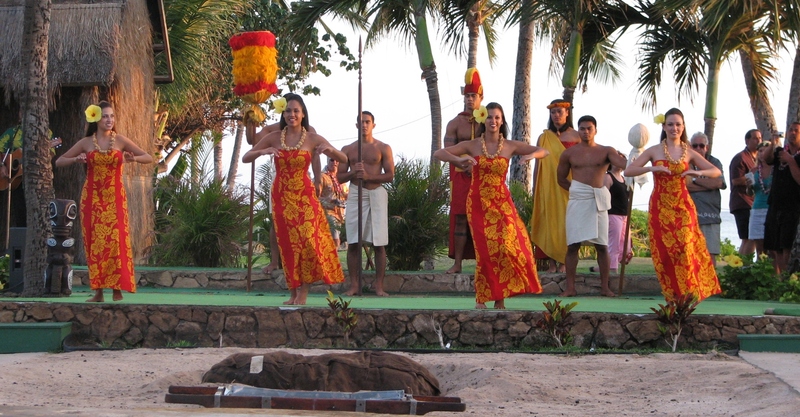 Travel is an important component of our financial plan and our financial freedom plans. I would much rather live in a small rented apartment and travel then have a massive house and financial burden. We have been budgeting travel with our son to correspond with what he is learning in school. We love the idea of enhancing what he has learned in school with a real life education. Recently he watched an episode of Nova around sharks in Cape Cod (because we knew we were going there this summer) and we were able to take him to the places mentioned in the show and he was excited about the fishing expedition in the hopes of finding a great white. We did not, but we found lots of whales, which led to us watching a whale documentary on Amazon Prime when we got home. I’m in total agreement with you here! We prioritize travel in our budget and in our lives. It’s our favorite way to spend time together and is something we see as a value-added expense. We’d rather go to Europe every few years than eat out at restaurants for example. Thank you for sharing this! Europe is on my wife’s travel list for sure. That may not get done until the kids are gone. Perhaps England while they are still with us. Maybe I am a bit different than everyone else commenting, but I really have barely been out of the Country once, a car ride with my Aunt and Uncle into Canada when visiting them in a Detroit suburb when I was little. It was a bit exciting, but for that little drive I didn’t notice any real cultural difference other than a different currency being taken at the convenience store. But really, my parents, and my wife’s parents, did not have the means to do long distance travel and that is what we are accustomed to. That said I do want to travel more and experience more, but I do also lack the burning desire probably because I haven’t experienced travel in the degree that others have. My family took vacations growing up but for the most part they were nearby and relatively low key (but way fun…we went camping a lot). I think the furthest we ever traveled for a vacation was to upstate New York (from Ohio). I didn’t really start traveling extensively until my wife and I were married. Her mom lived in New Jersey and dad and grandmother in south Florida. Try triangulating a Georgia to Ohio to New Jersey to Florida over Christmas break some time. That was an adventure we did only once. We travel for many of the same reasons Brian. Both my wife and I had the privilege of traveling with our parents and are committed to doing the same with our kids. There is just so much to see in the world and so much history/culture to experience that it only makes sense to do so. We churn cards, but we also actively set aside money each month to fund our traveling. It’s one of the things we have a bucket for as it helps us align it towards a goal we can work together as a family to reach. Setting money aside each month is the way to go. That tactic was a revelation when we finally realized it. Since then, we’ve been able to pay for all our vacations with cash. Making travel a priority is an excellent way to ensure family memories and bonding. I think the key is to scale it to your personal budget. If you can only travel a few hours away for two nights, that is better than nothing and the kids will still find it fun and memorable. I agree a little is better than nothing. A couple days travel can be done very economically. I am addicted to travel and can’t get enough of it. I feel energized, amazed, and so happy when I discover new places. I get to meet new people, challenge myself and grow. I also discover that everyone (basically) wants the same things that I do: security, family/friends, travel, education, safety. We have more in common than we realize. “…wants the same things that I do…” That’s a good point Michelle. Those items you listed are the basics of what we all strive for. Brian, travel let our family relationship become more intact and close. It’s like we enjoy seeing our kids playing in the beach and widening their eyes when they see something spectacular. Those moments are priceless and something to cherish for the rest of our lives. Jayson recently posted…Monster Piggy Bank Turns 2! Travel took on a whole new meaning for us when our kids got involved. Mostly we are trying to plan activities that a) they will enjoy and b) will enrich their lives.